For patients awaiting Mohs micrographic surgery in our Newport Beach, Orange County office, please download these forms in order to prepare for the day with us. Professor Emeritus of Surgery, University of Wisconsin. Using the Mohs micrographic surgical technique, the percentage of success (complete removal of skin cancer) is very high, often 95% to 98%, even if other forms of treatment have failed. Please remember that the length of the Mohs procedure depends on many factors, the main one being the extent of your skin cancer. Because this cannot be predicted before the cancer removal procedure, please expect to stay the whole day with us. Therefore, bring snacks, your laptop computer (we have Internet access) and books or other work to stay occupied. After removal of the skin cancer, the surgical site leaves a “defect” where the tumor once occupied. At this point, the doctors will discuss the reconstruction options, which may include allowing the area to heal without additional surgery or closing the site with stitches. Mohs micrographic surgery has set a new standard in skin cancer treatment. An increasing number of physicians are performing Mohs surgery, which is now widely accepted as the most effective treatment for most types of skin cancer. 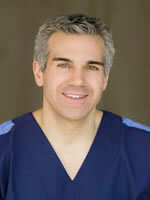 However, not all Mohs surgeons receive the same level of training as with Drs. Bickle and Rotunda, fellowship trained Mohs surgeons. When it comes to your skin cancer treatment, you deserve no less than the best. With Drs. Bickle and Rotunda have achieved the highest degree of Mohs surgery qualification by completing an American College of Mohs Surgery approved fellowship. For you, this means peace of mind, knowing that you will receive superior quality and competency, as well as an optimal outcome. 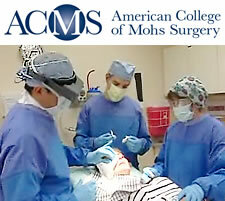 The American College of Mohs Surgery was established by Dr. Frederic Mohs himself, and its fellowship training program is generally acknowledged as the benchmark in Mohs surgery training. Through an extensive application and interview process, only the most qualified physicians are selected by ACMS to participate in a fellowship program. 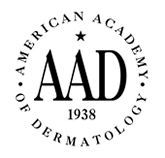 Participants must undergo a rigorous 1 to 2 year training program subsequent to completing a residency in dermatology. During fellowship training, Drs. Bickle and Rotunda studied and trained under the guidance of veteran Mohs College surgeons who have demonstrated expertise in Mohs surgery. A cornerstone of the ACMS fellowship training program is cultivating experience and judgment in each graduate. As an ACMS graduate, Drs. Bickle and Rotunda gained an uncommon level of exposure, including everything from challenging tumor locations to rare tumor pathology and complex wound reconstruction. You can rest assured that he has the training and experience to achieve the best outcome from your skin cancer treatment. Drs. Bickle and Rotunda are frequently called upon by his colleagues to remove difficult and concerning skin growths on their patients. These lesions may be irregular moles (nevi), lipomas (benign collections of fat), cysts, suspicious nail growths, as well as skin cancers like basal cell carcinoma, squamous cell carcinoma and melanoma, the most deadly form of skin cancer. The goal of reconstructive dermatologic surgery is to restore the function and appearance of the skin before it was operated upon to remove the skin cancer. As a Mohs micrographic surgeon, Drs. 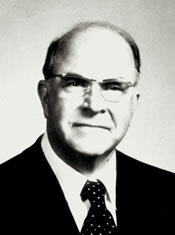 Bickle and Rotunda were trained extensively to repair relatively small to relatively large surgical defects using numerous suturing (stitching) techniques, which may include side-to-side closures, flaps and grafts. Drs. Bickle and Rotunda may be performing reconstructive surgery at the time of your Mohs surgery, or after another procedure in the case that another physician referred you to us. The exact type of reconstructive procedure used to repair the skin is determined by carefully examining the location and depth of the wound. 1. Continue your regular medications as usual but do not take any Aspirin or Herbs 10 days prior to your procedure, unless another doctor told you to always take your Aspirin. 2. Do not smoke 1 week before surgery. 3. If you drink alcohol, continue to drink as you normally would. 4. If you take coumadin (Warfarin) or other blood thinners, continue taking them. 5. Notify us if you have an artificial joint or heart valve, if you have ever had rheumatic fever or a heart murmur, or if a doctor ever recommended you take antibiotics before surgery or teeth cleaning. 6. Get a good night rest. 7. Eat breakfast as usual on the day of the procedure. 8. If you are having Mohs micrographic surgery, expect to stay the whole day with us. Therefore, bring snacks, your computer (we have Internet access) and reading/work material to stay occupied. 9. If you are having Mohs micrographic surgery, we will provide lunch for you but feel free to bring your own (microwave not available) if you prefer. 10. Please arrive 15 minutes early.